Styled with crowne t-shirt . Styled with foundation muscle tank . Styled with crowne t-shirt and foundation muscle tank . 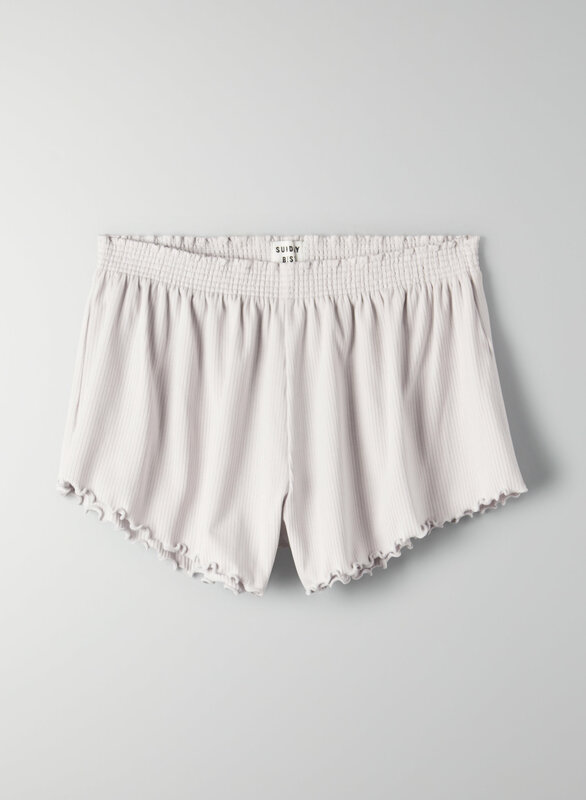 This is a smocked-waist, pull-on short with a flounced leg. It's made from a soft and stretchy ribbed fabric.